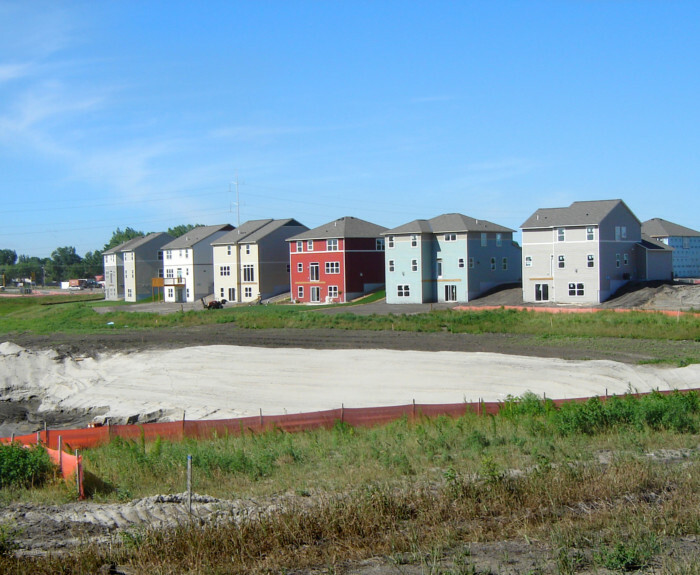 Crescent Ponds is a single-family residential development in Blaine, Minnesota that offers a variety of floor plans in a beautiful, private setting near an 11-acre pond. During construction, Braun Intertec was retained to provide construction materials testing and environmental consulting services. The project involved construction of residential house pads with associated roadways and utilities. We provided site grading observations for building pad development and evaluated the suitability of the excavation bottom soils for engineered fill, building, and pavement support. Using a nuclear density gauge, we performed on-site compaction testing of the fill in building and roadway areas, and also sent bagged samples to our materials laboratory to perform Proctor tests. We also provided test-roll observations, concrete testing, bituminous testing, and quality control testing during site utility installation, which included a sanitary sewer, water main, and storm sewer.